My name’s Lin Workman and I’m a geek. I’ve been wanting to do a new web comic for some time now, but have also recently wanted to do a geek travel blog. I love traveling to comic conventions, checking out fun roadside attractions and geeky locations, and sharing my adventures. Since I’m marrying a tech geek (Nicki– who also loves comics and traveling) I now have the ability to combine both into one geek filled website. I will be updating a new comic and travel blog each Tuesday. I’ll also be sharing geek tourist destination suggestions, geek survival guides, and links to upcoming fun geek events and geek friendly websites here. Hope to do some interviews as well. If you have any to share please email us at geeker@havegeekwilltravel.com– we’d love to hear from you! And look for Nicki and me (and our mascot “Geeker”) at future comic cons. 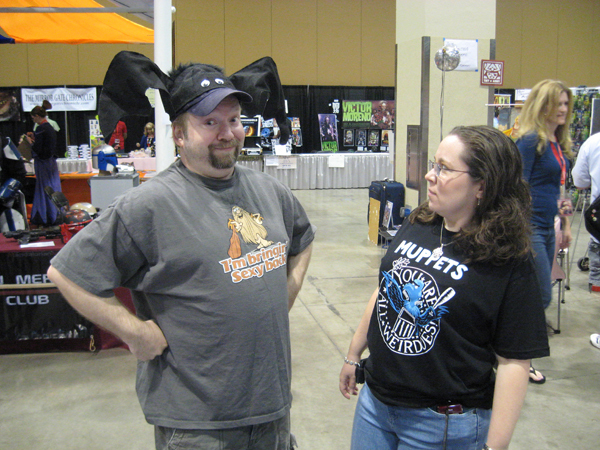 We’d love to meet you and hear about your geek adventures and travel suggestions.